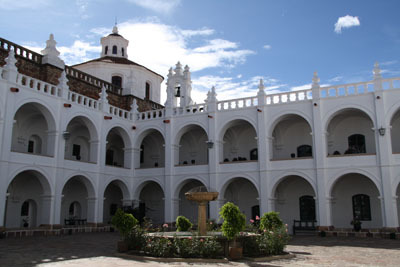 The monastery of San Felipe de Neri was built from 1795 to 1799. 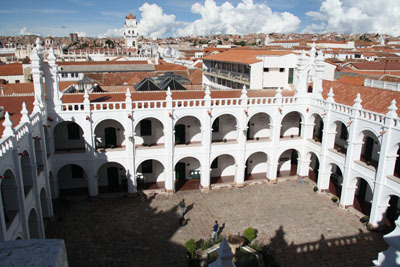 The monastery and the church are one of the most important constructions in the neoclasical style of the city of Sucre. 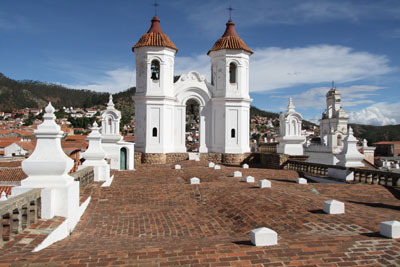 The monastery has a beautiful roof terrace with a brick floor, from where you can enjoy a great panoramic view over the city. The cloister is the most interesting one of Chuquisaca as it consists of two levels of four-centered arches that rest on massif columns and a baluster in the Xiloform style. The cover is based on arches and groined vaults. In the crypt you can find the tombs of important personalities like the last president of the Real Audiencia of Charcas, the last archbishop of the La Plata Moxo and Francoli and other archbishops.